In the prestigious Journal of the American Medical Association (JAMA), a featured report, here, finds that the sugar lobby funded researchers that would (or could) find sugar innocent of causing disease. How very, very evil of the sugar lobby to pull the wool over the trusting eyes of the medical establishment, thus leading to a half century of promotion of sugar, and of grains and cereals (essentially straight sugar). Well, that’s that, then. Had it not been for this, the medical establishment would have been recommending a sensible diet for the last 50 years instead of the ludicrous food pyramid. And countless millions would have avoided heart disease and adult onset diabetes. OK, enough of this snarky cynicism. Rather than burning the sugar lobby at the stake, could we broaden the question to, “Why do vested financial interests control how medicine is practiced rather than the health needs of the population itself.” The vested interests are the food industry, especially the grain and cereal segments, the health insurance industry, the blood test industry, the emergency room industry, and last, but certainly not least, Big Pharma. The doctor, trying to navigate this institutional typhoon, is tossed about almost as much as the patient. Sugar, cereal, and grain have a long, if somewhat checkered, past in America. In the 40s and 50s, they were advertised as a sort of health food. Something to prevent skinniness. 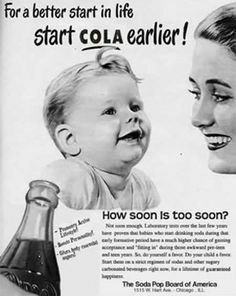 Other ads advised parents to start their kids on carbonated soft drinks at an early age. By the seventies, something was not going right. America’s health was in decline. But why? This may not sound like a puzzle that the U.S. congress was well equipped to solve, but that presented no serious obstacle. Senator George McGovern convened a panel and the investigation was on. And the war began. The sugar-starch-cereal industry saw an existential threat, and assembled an army of experts to place the blame squarely on meat, saturated fat, and cholesterol. The exposure of this lobbying effort is the gist of the JAMA article. The meat industry did fight back, but basically didn’t begin to have the necessary political or financial clout to carry the day. Low-fat, low-cholesterol, and high-carb became the norm, recommended everywhere, and by almost every doctor. This culminated in the 1992 Food Pyramid. 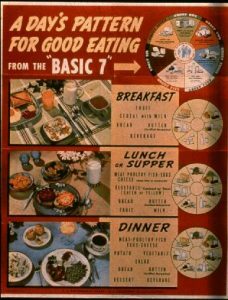 At the base were grain, cereal, and pasta—6-11 servings per day were recommended. (Eleven! Mamma mia!) At the very top were fats, oils, and (to be fair) sweets—to be used sparingly, if at all. Sweets on top, grain on the bottom. Yet once they are in your stomach, your body can’t tell them apart. They are quickly converted to glucose, or a mix of glucose and fructose, and then, directly into circulation they go. And this was perfectly well known at the time. By the nineties, though, obesity was rampant, as was adult onset diabetes, and something new, an Alzheimer’s epidemic was flowering. Why was the food pyramid introduced? 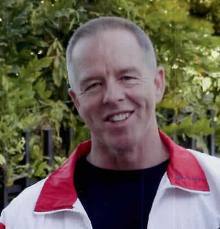 Could no one see that the low-fat high carb regime from the 70s was a disaster? Why not change course? Pride? Politics? Well, best not to rush into such things. After all, the medical schools were in agreement on the best diet, despite the evidence. Maybe let a little more time pass. Yeah, that’s it, just wait awhile and the problem will go away. But it didn’t. Twenty-five more years have come and gone, and all of the above maladies are affecting an ever increasing share of the population. Finally, the USDA made some changes, introducing MyPlate, a shot at a balanced diet that is strangely reminiscent of the recommendations from the 40s and 50s. Grain and cereal still managed to grab about 25% of MyPlate, a major demotion from the glorious Food Pyramid era. After 50 years, in 2016, the USDA even removed dietary cholesterol from the forbidden food list (here). Many people are now aware that the Standard Advice of the last five decades was one of the biggest pseudo-scientific fiascos in history. Not only is dietary cholesterol OK, saturated fat is OK as well, but sugar, starch, and grain products are a health disaster. But many, many people and, most unhappily, healthcare professionals do not know this. Or have heard it, but think it some sort of conspiracy theory. Now who is in charge of educating the general population on nutrition? There are three sources of information. TV. Well, basically TV and those advertising dollars caused the problem in the first place, and at this point are prolonging it. Compare the number of cereal and dessert ads to the number of organic broccoli or grass-fed meat ads. Schools. Most nutritional information in schools is decades old, vilifying red meat, fat, cholesterol, and the like. Many delve into the horrors of industrial meat, turning millions of kids into vegetarians (at an age where they have the greatest need for protein). Maybe this is understandable. Most teachers aren’t nutritional experts. 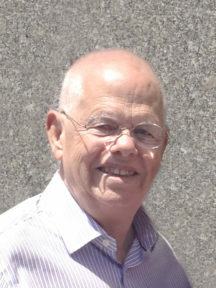 And the textbook selections are subject to serious political “input.” Furthermore, “sustainability” is often taught as a political science subject, and it is often assumed that to achieve a sustainable society, it is necessary to eat a lot of grain and little or no animal product. Doctors. Nutrition isn’t a topic that is covered in depth in medical schools, and most doctors learn a bill-of-fare intended to fit one and all. This is a menu that seldom changes. There are notable exceptions. However, for every doctor that says not to worry about cholesterol, and to eat meat and fat in sensible doses, there are ten doctors still mired in the Food Pyramid dogma. A major case in point: a high-grain, high-fruit diet is still recommended to adult onset diabetics by both doctors and the American Diabetes Association itself. Such a diet is devastating to diabetics. What’s the matter with sugar? Macro-nutrients are needed for energy. Sugar is used by the body exclusively for energy. Fat and protein are used for both energy and cellular construction. Sugar, is treated somewhat paradoxically by our body, and therein lies the rub. 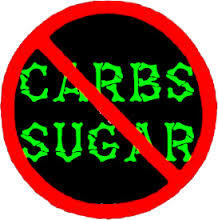 Even though sugar is used for energy, it is also consider a signal to store all food as fat. In the presence of high sugar intake (or equivalently starch), any fat that is eaten is stored directly, and most of sugar is converted to fat as well. Details here. This pertains primarily to our history as hunter-gatherers. Other sorts of animals, hummingbirds, for instance, manage sugar very differently.